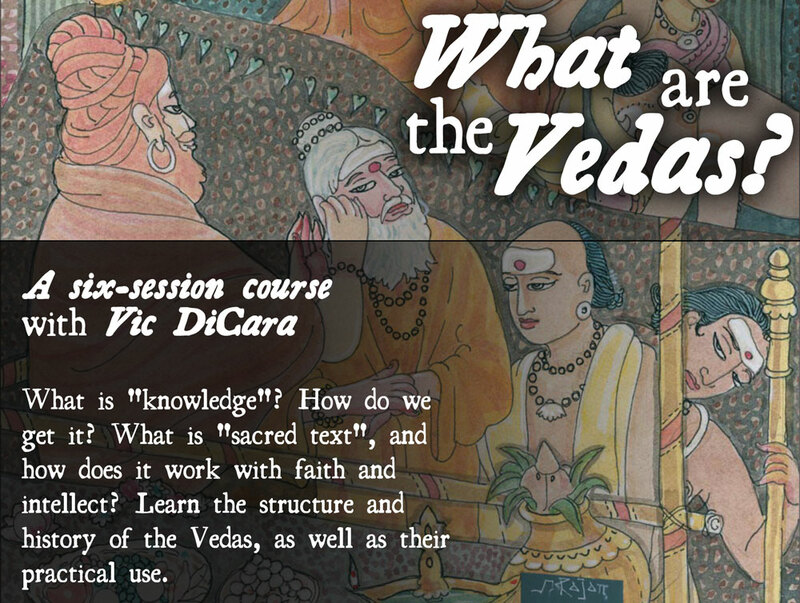 A six-session course explaining the Vedic approach to knowledge and science, and clearly answering key questions like: What exactly are “the Vedas”? How to the Purāṇas fit into the Vedas? How can we read and truly understand sacred Vedic text? And why are the Gīta, Sūtra, and Bhāgavata so important? What is “knowledge”? How do we get it? What is “sacred text”, and how does it work with faith and intellect? Learn the structure and history of the Vedas, as well as their practical use. Live sessions are held via Zoom video-conference software. The free client installs very easily. Even if you can’t attend the live sessions, you can take the course via the recordings, and still have full teacher-student interaction via the homework assignments and discussion forum. Next Love Rādhā or Love Krishna?